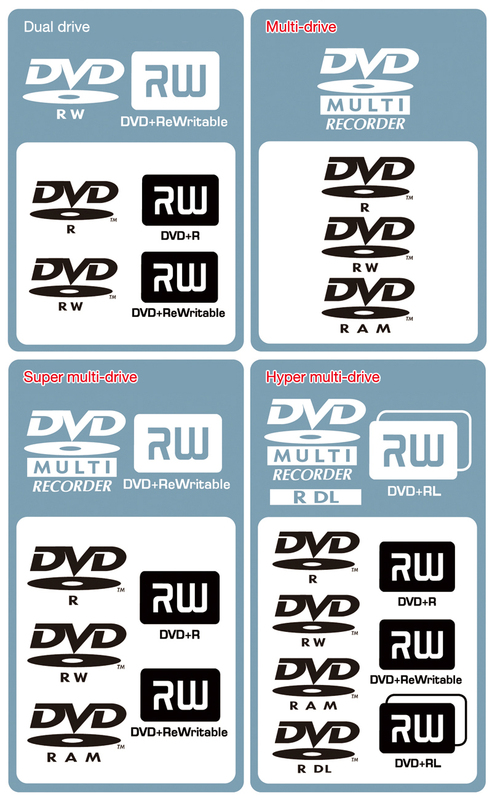 DVD-RAM (DVD-Random Access Memory) is a rewritable medium which uses a metal phase transitioning material in the recording layer, has hardware defect management and identical specifications to magnetic recording media. Consequently, data can be deleted on a file-by-file basis. However, due to limited random access capabilities, this could cause fragmentation, which could lead to a drop in access speed if the problem occurs frequently. 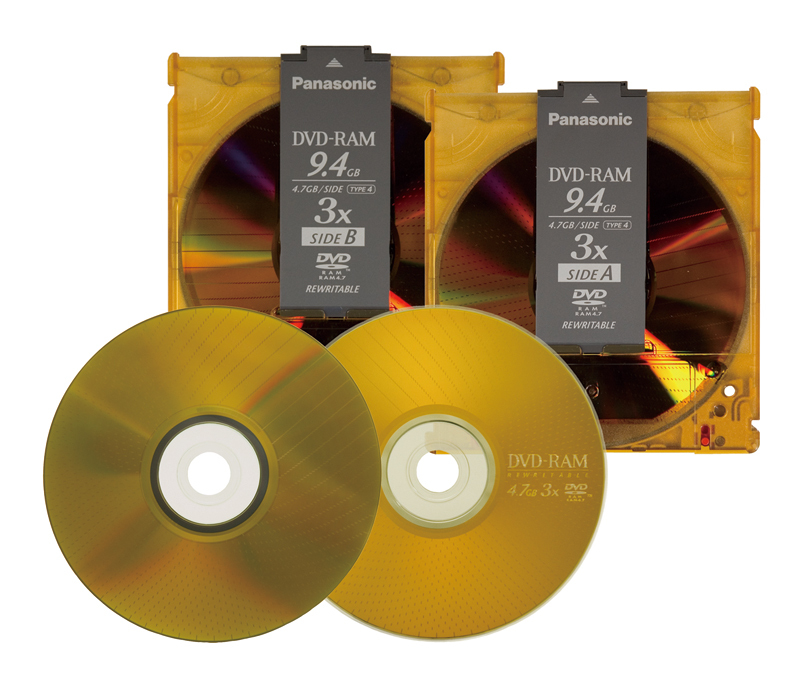 As it is stored in a dedicated cartridge, DVD-RAM is easy to handle and is protected from damage and dirt. It requires a special compatible drive unit but the write-protect tab on the cartridge can be used to prevent accidental deletion and overwriting. The geometry of the medium itself is the same as that of a DVD. Therefore, if the disc is removed from the cartridge, it can be used on a normal drive. 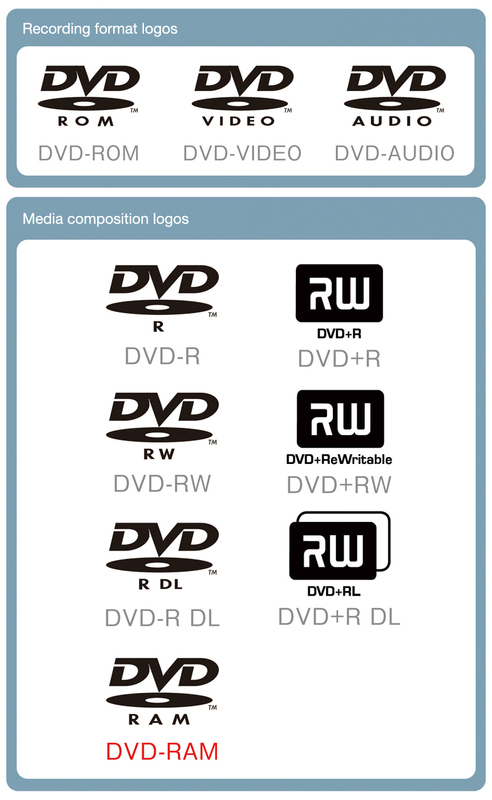 Products that do not have a cartridge have become available in recent years so the difference in prices between a DVD-RAM and a DVD-RW is decreasing. The service life of a recording medium is estimated based on the results of accelerated aging tests. Because a rise in temperature and humidity and ultraviolet light are known to reduce the life of the disc significantly, the disc is best stored in a dry, cool and dark location. 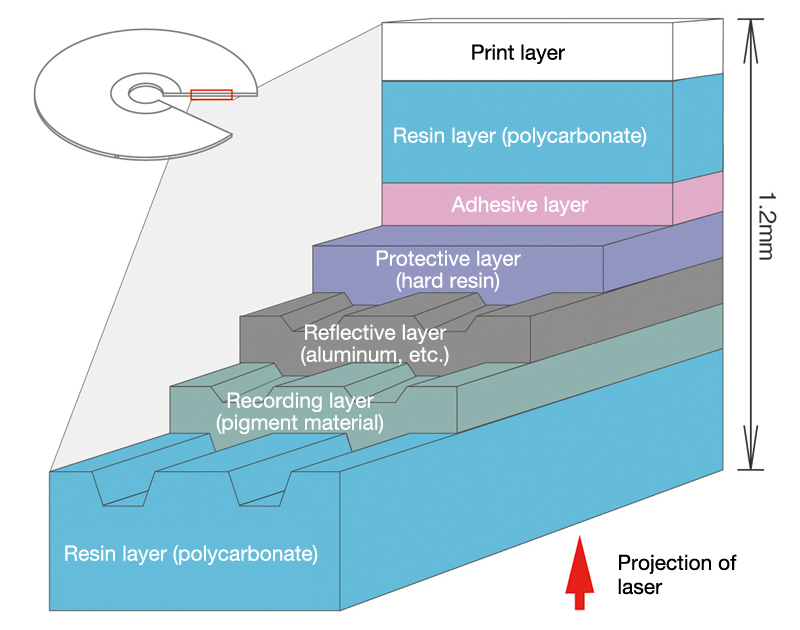 Due to a higher recording density compared to CDs, DVD-RAM is more susceptible to the effects of soiling such as dust, scratches and fingerprints on the disk surface, and must be handled with care and kept clean. 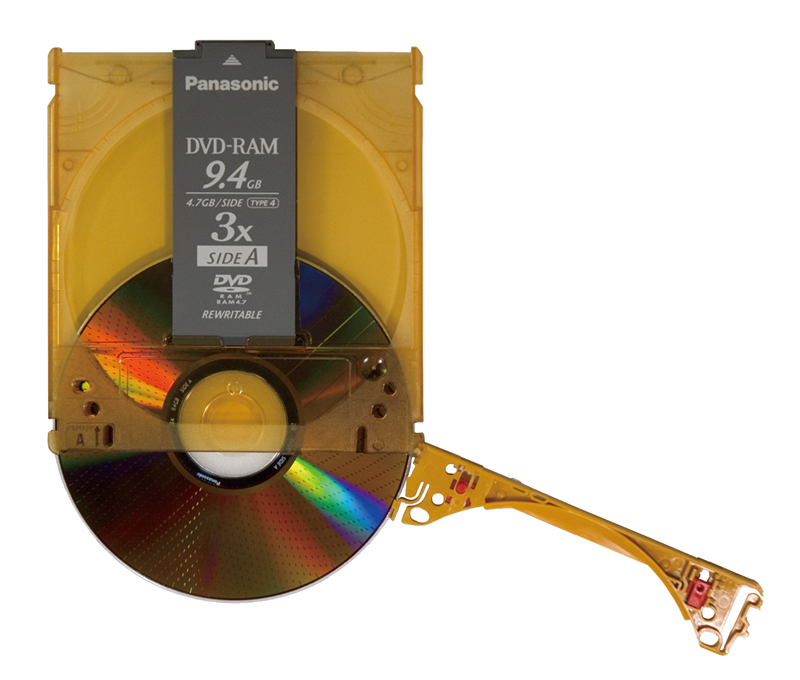 There were a few complications before the DVD-RAM settled at its current standard but when formatted using the UDF system as standardized by the Optical Storage Technology Association (OSTA), it may be used for packet writing or in a DVD video recording (DVD-VR) format. However, it may not always be possible to play the medium recorded in DVD-VR format on a DVD-Video player. 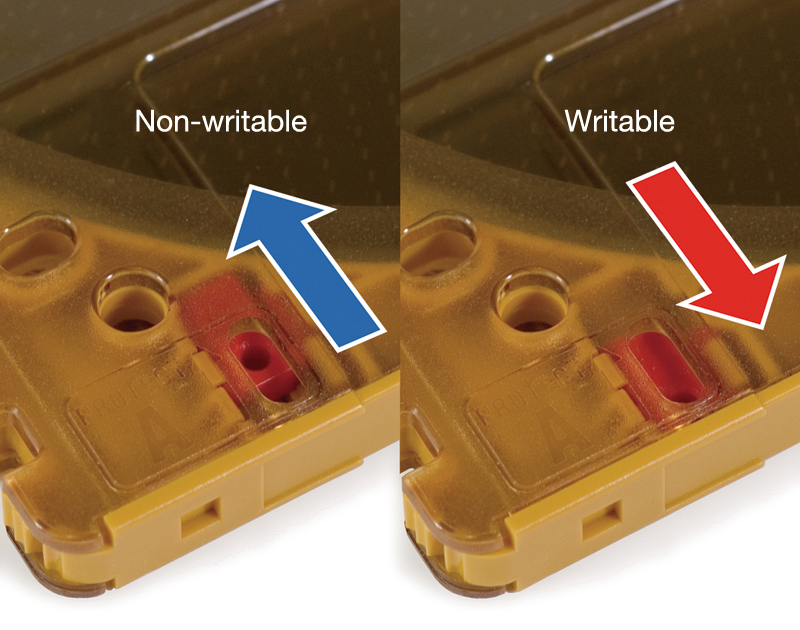 You can slide the write-protect tab at the bottom left of the cartridge to prevent accidental deletion and overwriting. If the disc is removed from the cartridge, it can be used on a normal drive.